I think you get the idea. Trust me, we’ll all get through it people – and we’ll all be OK. Enjoy yourselves, being with family, and remember the “reason for the season”. With the ham and prawns safely ordered, here at dept4 it is time to put together our Christmas coffee blend for another year. Family members who sampled the limited run last year enjoyed the blend, so this Christmas the distribution will be cast a little wider to include extended family and some work colleagues as well. This coffee comes from the Kirinyaga district. Kirinyaga is located within Kenya’s Central Province, a key area for Kenya’s large coffee industry. The district lies close to Mt. Kenya, and encompasses high elevations of between around 1600–1800 meters above sea level, ideal conditions for growing high quality coffee. 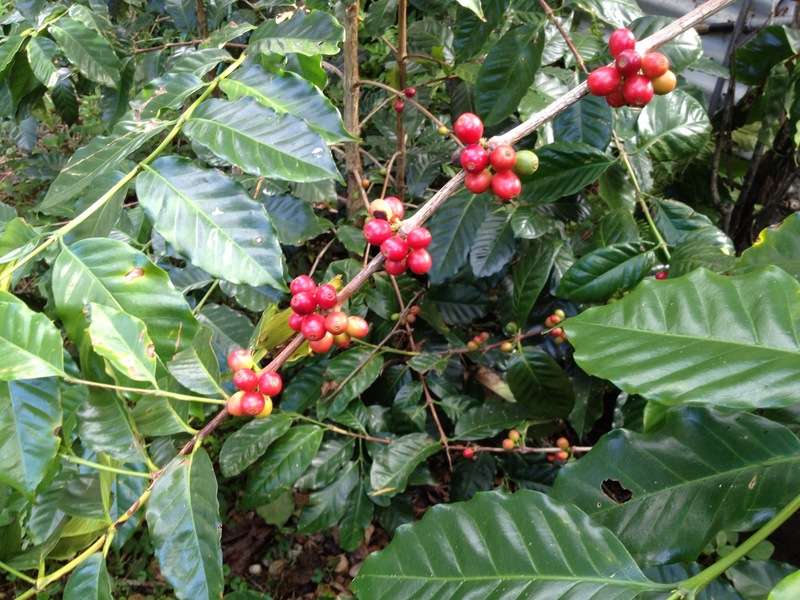 Small-scale farmers are organized into well-managed central pulperies, also called Coffee Factories. Karimikui Coffee Factory is the name of the washing station where this particular lot comes from. Maple syrup sweetness with candied orange, mandarin, stone fruit dark chocolate and elderflower. Medium body. The initial roast batches are now complete, and as the title of this post suggests, the roast was on the lighter side to align with the majority of brewing methods used by those who will receive the blend (Aeropress, French Press, Pourover). After sampling the results, the exact ratios of the blend will be determined and we will then ship the finished product immediately to ensure maximum freshness and pre-Christmas delivery.